One of the biggest sunan (pl. 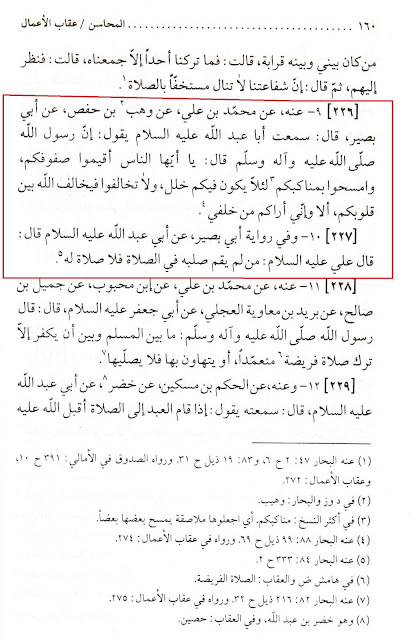 sunnah) acts that we, Shee`ahs, have lost is in regards to the straightening of our lines in Salaah during jamaa`ah. This is a disease that is rampant amongst our shee`ahs all over the world from the east to the west. 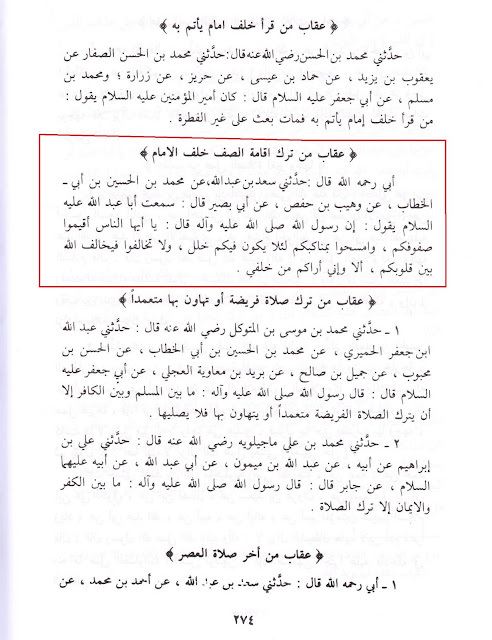 We are not taking care of our Salaah when we are reading in jamaa`ah. Unfortunately people are not straightening their lines and making sure that they their shoulder’s are touching the shoulders of the people next to them. 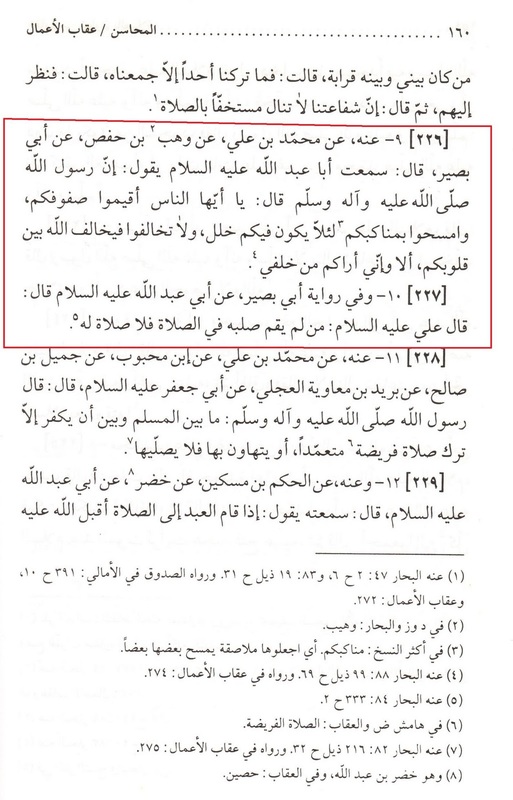 This burden of straightening the lines is on the "Imaam" (leader) of the prayer as well as the people reading in the jamaa`ah. Here is a SaHeeH hadeeth from our books on the punishment that Allaah (سبحانه و تعالى) does on people who abandon straightening their lines, and the ill-effects that it causes the ummah. 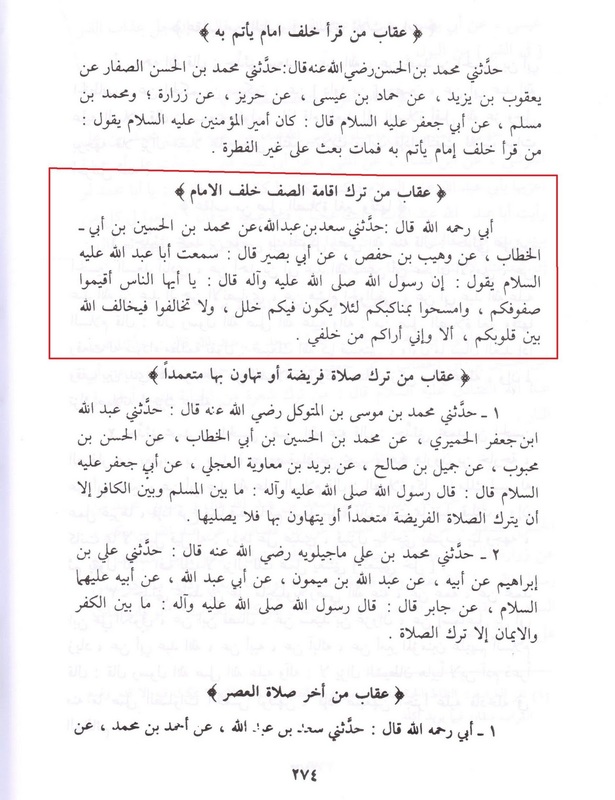 Want to know why there is so much disunity amongst our ummah especially amongst our own Shee`ahs? Well now you know. This really is an eye opener, the only time that i have seen shoulders touching in jamaa'ah is when there are slightly too many people and everyone is forced to touch shoulders. It's sad that this sunnah is seen as a 'sunni' thing. they really are so much more disciplined in their salah than us. Yes, it is disheartening that this isn't practiced in our masaajid / centers. This is one of the reasons why I have said this is one of the lost sunan. And you are right, we need to have masaajid that have lines that are already placed in the carpets, or have those carpets that have the muSallahs set up on the carpets as a design. Regardless of having lines, I have been to masaajid that do not have lines, but their lines are straight. It is once again up to the "imaam" (leader) of the prayer, just like it was the job of the Prophet (SAWAS) to straight the lines of when he was leading prayers.